Is It Too Risky to SLAPP Back? May 6, 2016 August 4, 2017 / Julie Brook, Esq. Your client got hit with a Strategic Lawsuit Against Public Participation (SLAPP) suit, i.e., a suit with a cause of action based on your client’s act in furtherance of the constitutional right of petition or free speech in connection with a public issue. You have a chance to hit back with a special motion to strike the cause of action under the anti-SLAPP statute. But should you? The most obvious benefit of filing an anti-SLAPP motion is that, if successful, it can dispose of the entire case up front. CCP §425.16(f). An unsuccessful anti-SLAPP motion is automatically appealable (CCP §425.16(i)) and reviewed de novo on appeal (unless the motion is denied because the action or a cause of action is exempt under CCP §425.17). But filing an anti-SLAPP motion can also be risky. When evaluating whether to bring one, determine whether the plaintiff can easily establish facts that, if believed by a jury, will support a judgment in the plaintiff’s favor. If the answer is yes, your motion will likely be denied and an unsuccessful motion will subject your client to paying the plaintiff’s attorney fees if the motion is found to have been filed frivolously or solely intended to cause unnecessary delay. See CCP §425.16(c)(1). Another risk of filing an anti-SLAPP motion is that, if it’s unsuccessful, it may weaken your client’s position for a later motion for summary judgment before the same judge. It may also provide the plaintiff with a roadmap for discovery. And even if the anti-SLAPP motion is successful, keep in mind that it’s automatically appealable by the plaintiff. CCP §425.16(i). Definitely don’t file an anti-SLAPP motion before considering all of these aspects of the decision. For a detailed discussion of the activities the defendant must show to meet its burden of proof, check out CEB’s California Civil Procedure Before Trial, chap 24A. Get step-by-step guidance for your motion in CEB’s Action Guide Making and Opposing Special Motions to Strike Under the California Anti-SLAPP Statute. 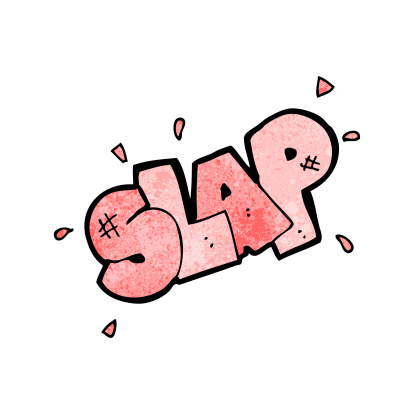 Checklist: Does the Anti-SLAPP Statute Apply?